So it’s only fitting that this summer, a new event will make that status official. The inaugural City of Riesling celebration July 26-28 will see a flurry of riesling-related activities and attractions, anchored by a visit from wine writer and riesling enthusiast Stuart Pigott, author of Best White Wine on Earth: The Riesling Story. According to event spokesman Andy McFarlane, the City of Riesling concept has long been brewing between riesling aficionado Sean O’Keefe of Chateau Grand Traverse and Amanda Danielson, advanced sommelier and proprietor of two Traverse City-based restaurants, Trattoria Stella and The Franklin. Pigott’s book provided the catalyst for nudging the plans from theory to reality, says McFarlane, who hopes it will become an annual occasion. Danielson says the event will expose attendees to a variety of riesling styles, countering a common misconception that all rieslings are sweet. 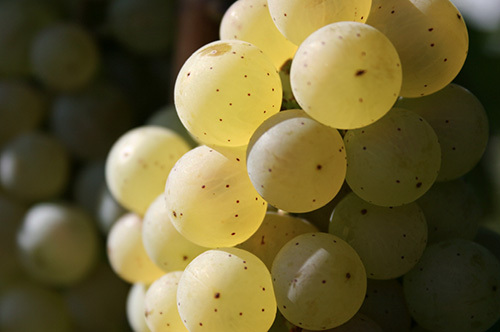 While there are many examples of sweet rieslings in northern Michigan — most often as late-harvest still wines and sometimes as sparkling or ice wines — there are countless dry and semi-dry versions, as well. “Why do people think that all rieslings are sweet, but not that all chardonnays are oaky?” asks Pigott. “Of course, neither is true, but riesling’s low status during the 1980s and ’90s resulted in people making little effort — often zero effort — to make sense of it. Pigott adds that there seems to be a generational divide in how riesling is perceived and appreciated. Pigott traces his personal enthusiasm for the grape back to the breadth and depth of its possibilities. 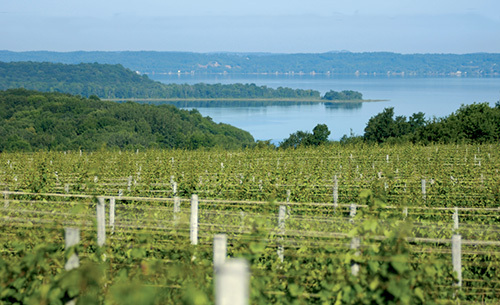 The inaugural installment kicks off July 26, with special riesling-focused tastings and dinners hosted by wineries and restaurants in Traverse City and on Old Mission and Leelanau peninsulas. On July 27, The Little Fleet food truck collection in downtown Traverse City will host the Riesling Oyster Riot, highlighting a selection of rieslings with various oysters. Later that evening, Clinch Park on Grand Traverse Bay will host The Night of 100 Rieslings featuring the world premiere of Pigott’s short film, Watch Your Back: A Riesling Movie. It will be shown at Bijou by the Bay, the Traverse City Film Festival’s 150-seat historic art house theater in the old Con Foster Museum building. The screening will be followed by The Bar of 100 Rieslings, a professionally manned “pop-up” riesling bar that will showcase examples of the wine from all over the world. There will also be live music from Girls with Guitars and a farm-to-table dinner prepared by Epicure Catering. The cost is $75 and includes movie admission, a full glass of sparkling riesling, 13 1-ounce tasting tickets, a souvenir glass, and dinner. The festivities conclude on July 28, with Salon Riesling at The Franklin. Winemakers and experts will come together for a series of TED-style talks on riesling, each featuring a selection of wines for tasting. It also doubles as the Midwest release party for Pigott’s book. 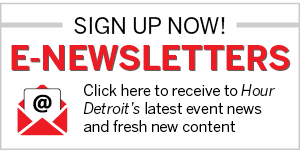 Topics include an exploration of riesling regions across the country, aging rieslings, a northern Michigan comparative riesling panel, and more. Tickets range from $75 to $150 per session and are limited. City of Riesling serves as a lead-in to the 10th annual Traverse City Film Festival, which kicks off July 29 and runs through Aug. 3. For more information, visit www.cityofriesling.com. To check out details on Pigott’s book, visit www.stuartpigott.de. Cortney Casey is a certified sommelier and cofounder of MichiganByTheBottle.com, a website and online community that promotes the Michigan wine industry. She’s also co-owner of Michigan By The Bottle Tasting Room, a joint offsite tasting room in partnership with six Michigan wineries, in Shelby Township. Contact her at cort@michiganbythebottle.com.